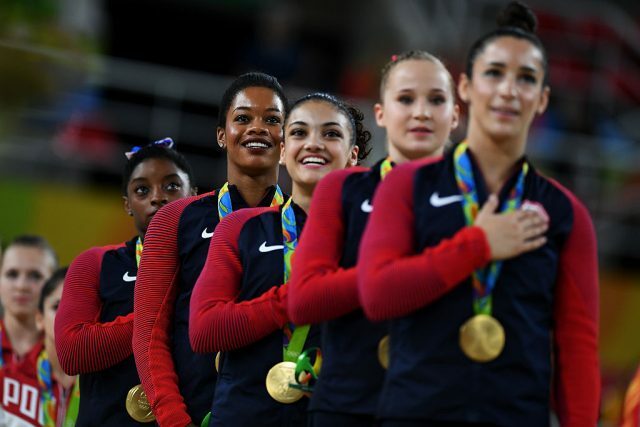 Gabby Douglas was criticized because she didn’t put her hand over her heart while the national anthem played at the Rio Olympics Tuesday night. 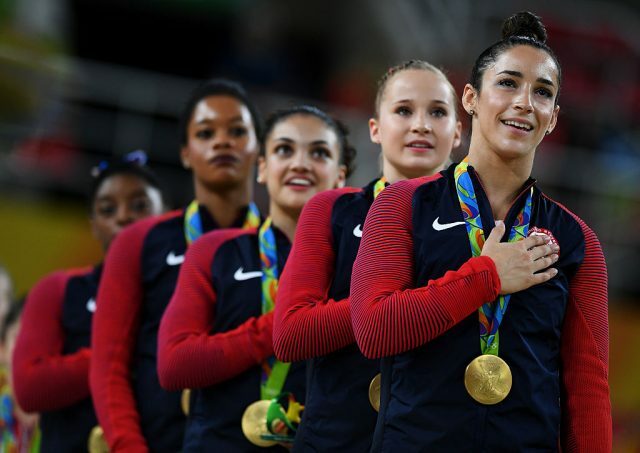 As the U.S. women’s gymnastics team received their gold medals, Simone Biles, Aly Raisman, Laurie Hernandez and Madison Kocian all placed their right hands over their chest — but Douglas did not. 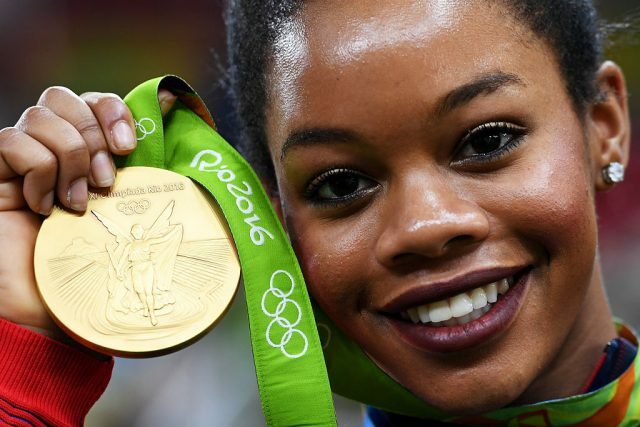 After she was rebuked by many for the move, the 20-year-old gymnast said she meant no disrespect.